Marc Marquez bids for his sixth victory of the MotoGP season at the Japanese Grand Prix and there would be no more fitting place for him to stamp his authority on the series than at the home track of his employers, writes Roddy Brooks. 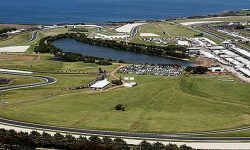 The Repsol Honda rider has a liking for the Twin Ring Motegi circuit, which was built by Honda and opened in 2000, winning the race there last year. Marquez has been priced up as the 13/10 favourite and he is our Japanese MotoGP betting prediction to make it three wins in a row after victories at Misao and Aragon. But Marquez’s team-mate Dani Pedrosa should not be ruled out, with three of the last six race wins at Motegi going to the Honda rider, and at 13/2 to end his fellow Spaniard’s winning streak, he offers good value for the race victory for punters looking for bigger odds. Sandwiched in between the Honda team-mates in the Japanese MotoGP betting are the Movistar Yamaha pair of Maverick Vinales (15/4) and Valentino Rossi (5/1). Rossi proved he was race fit at Aragon following surgery on a broken leg but getting back on the podium is surely too much to ask of a rider who saves his most heroic performances for race day. 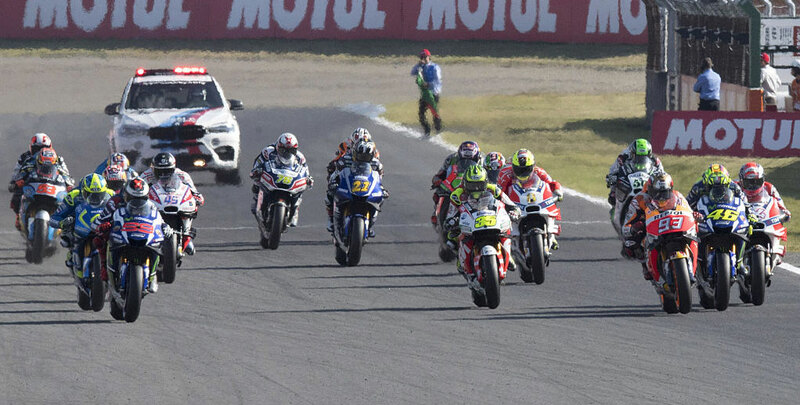 The technical layout of Motegi will not favour the factory Ducatis of Andrea Dovizioso and Jorge Lorenzo and they are both 9/1 for the race win. But with Dovizioso needing points to cut the gap to World Championship leader Marquez, the Italian could do with a race win having not climbed to the top of the podium since Silverstone three races ago. 1 Marc Marquez (Honda), 2 Dani Pedrosa (Honda), 3 Jorge Lorenzo (Ducati), 4 Maverick Vinales (Yamaha), 5 Valentino Rossi (Yamaha), 6 Aleix Espargaro (Aprilia), 7 Andrea Dovizioso (Ducati), 8 Alvaro Bautista (Ducati), 9 Johann Zarco (Yamaha), 10 Pol Espargaro (KTM), 11 Mika Kallio (KTM), 12 Andrea Iannone (Suzuki), 13 Jack Miller (Honda), 14 Scott Redding (Ducati), 15 Tito Rabat (Honda), 16 Jonas Folger (Yamaha), 17 Alex Rins (Suzuki), 18 Hector Barbera (Ducati), 19 Bradley Smith (KTM), 20 Danilo Petrucci (Ducati), 21 Loris Baz (Ducati), 22 Sam Lowes (Aprilia), DNF Cal Crutchlow (Honda), Karel Abraham (Ducati). 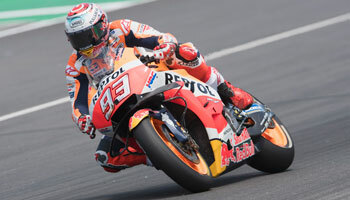 Marquez made it five wins for the season with a convincing victory as title rivals Dovizioso and Vinales both failed to finish on the podium. Lorenzo led early on and was able to hold on for his second podium finish of the season behind Marquez and his team-mate Pedrosa. Marquez took his time before sealing the win from Pedrosa, who worked his way through to second as Lorenzo made it a trio of Spanish riders on the podium. Vinales eventually made it through to fourth ahead of Movistar Yamaha team-mate Rossi who was racing for the first time since breaking his right leg, using a thumb-operated rear brake to keep the work of his injured limb to a minimum. Aleix Espargaro continued Aprilia’s upward curve with sixth place ahead of Dovizioso, whose disappointing day and seventh-place finish saw him drop 16 points behind Marquez in the title race. 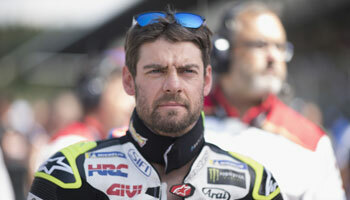 Alvaro Bautista (Ducati) and Johann Zarco (Yamaha) were eighth and ninth, while Pol Espargaro and Mika Kallio once again scored points for the improving KTM brand in 10th and 11th respectively.